Cream & Cheese CBD is a relaxing medicinal strain that was bred by crossing Seedsman CBD with UK Cheese. 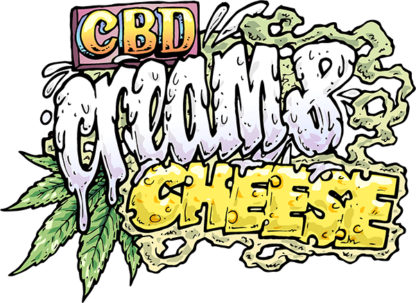 The THC:CBD ratio is approximately 1:1 with the Seedsman CBD ameliorating the psychoactivity of the Cheese to such an extent that the cerebral nature of the Cheese effect is removed giving a relaxing strain. 60% indica strain. 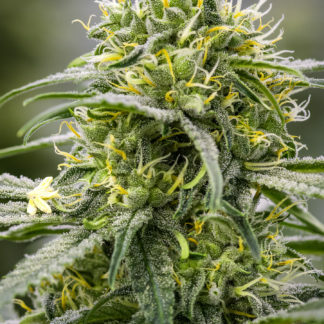 This cannabis strain grows well outdoors but also thrives indoors too. 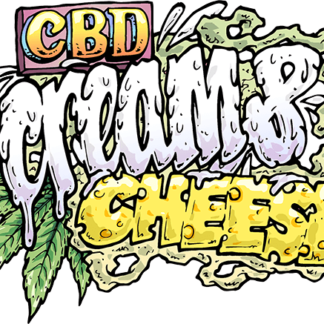 It has a very good resistance to botrytis and other moulds, much more so than the original Cheese thanks to the properties imparted by the Seedsman CBD. It demands little in the way of nutrients, is very branchy and is easily taken care of such is its ease of cultivation; a very hands-off strain. 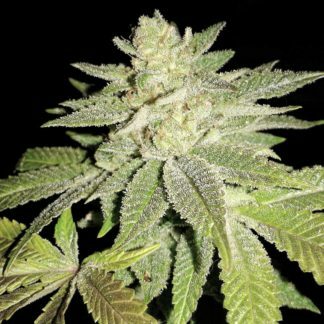 The buds fatten up nicely in soil and give a very nice medicinal version of Cheese. 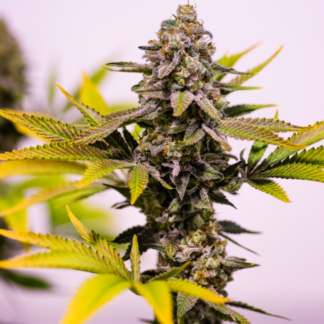 Flowering times indoors are between 60 – 65 days with yields of 400 – 600 gr/m2. Outdoors this strain can reach a height of 250 cm. producing 800 gr/plant with harvest time being late September or early October at the latest. The smell and taste of Cheese is retained in this medicinal version. THC has been measured ay 22% with 18% CBD. 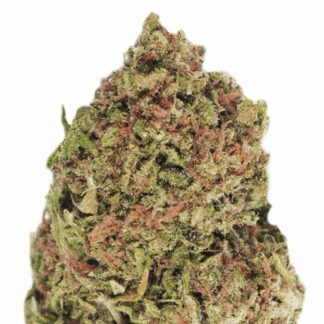 The effect is non-psychoactive without any cerebral high to speak of but rather a smooth effect of pleasant sensations and relaxation. 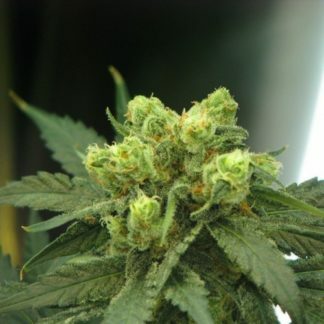 It is anticipated that this strain will be useful for treating the symptoms of a wide range of ailments and conditions.